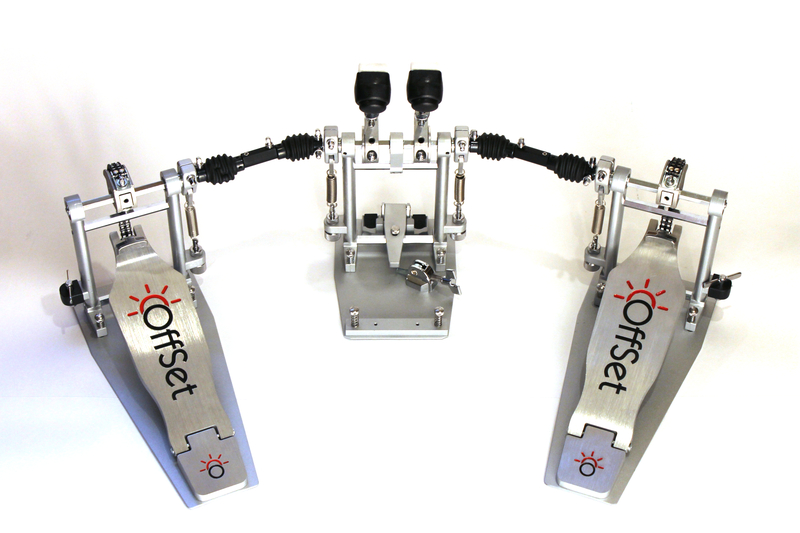 The OffSet® Bilateral Bass Drum Pedal is designed by a drummer for the drummer’s comfort, ergonomics and improved play. 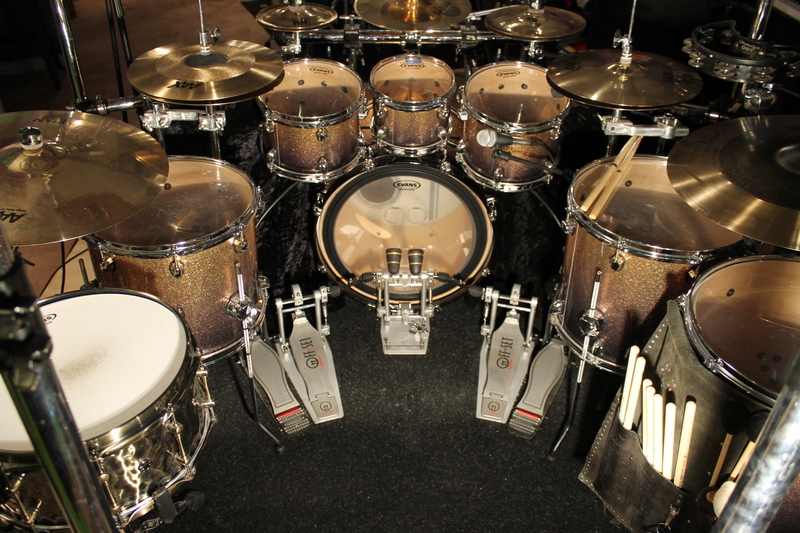 Standard double pedals have been around for decades without thought to the body symmetry in relation to the drum kit. 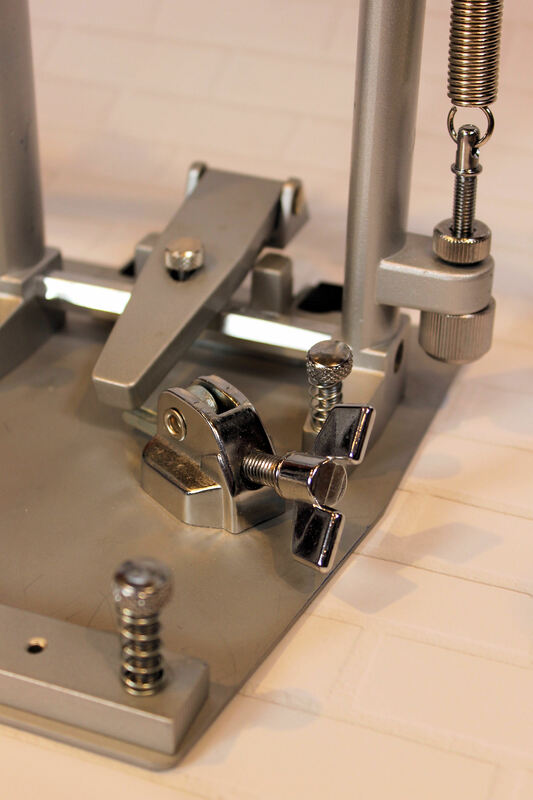 The absolute quality, design, ergonomics and customization of the OffSet® Bilateral Pedal eclipses any double pedal available today. 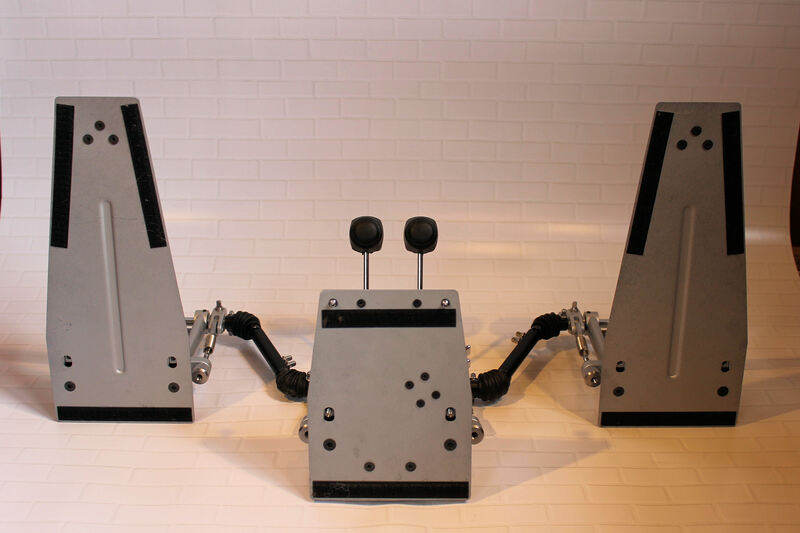 Extremely ergonomic drummer-centering design. 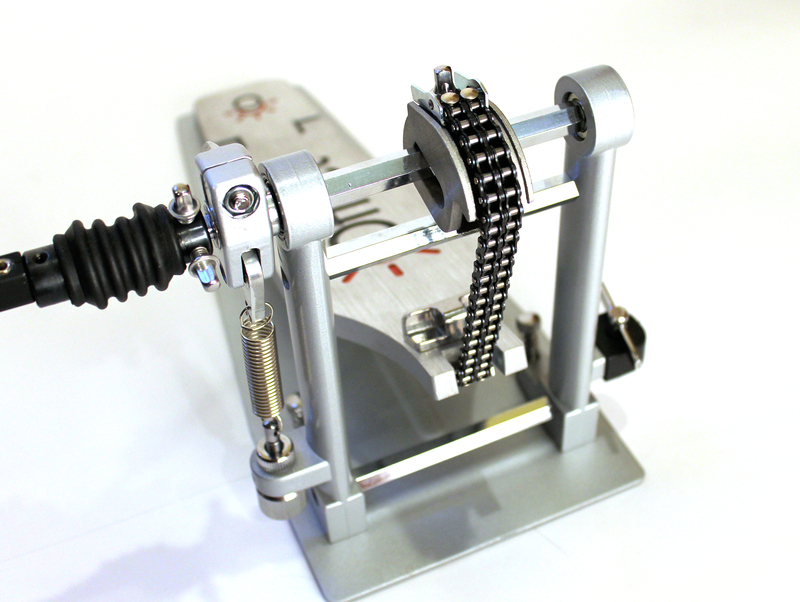 • Backed by the OffSet® 2-year Limited Warranty and the "Try Me" satisfaction guarantee. 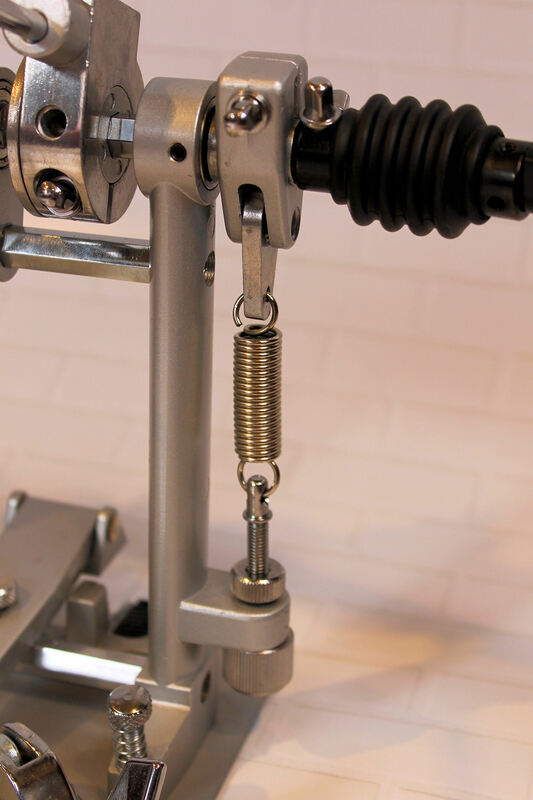 • No Rod Lag as seen with traditional longer slave rods. 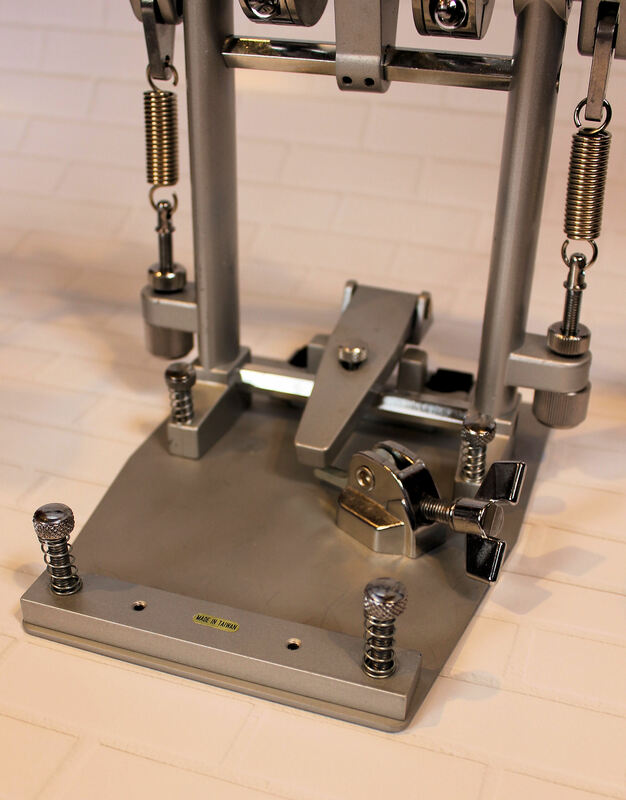 • Rugged free–standing pedestal design with upper transverse beam and solid metal ribbed base plate for maximum strength and rigidity. 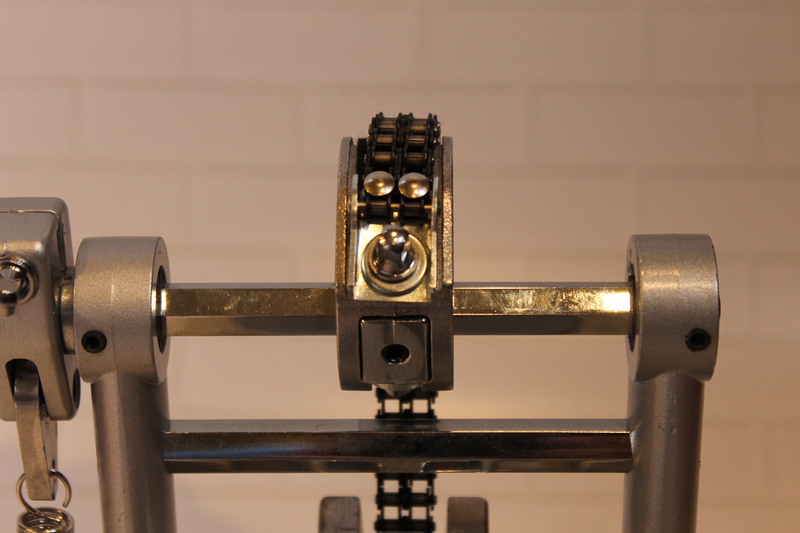 • Precision Bearing pivot pin on heel plate/foot board connection. 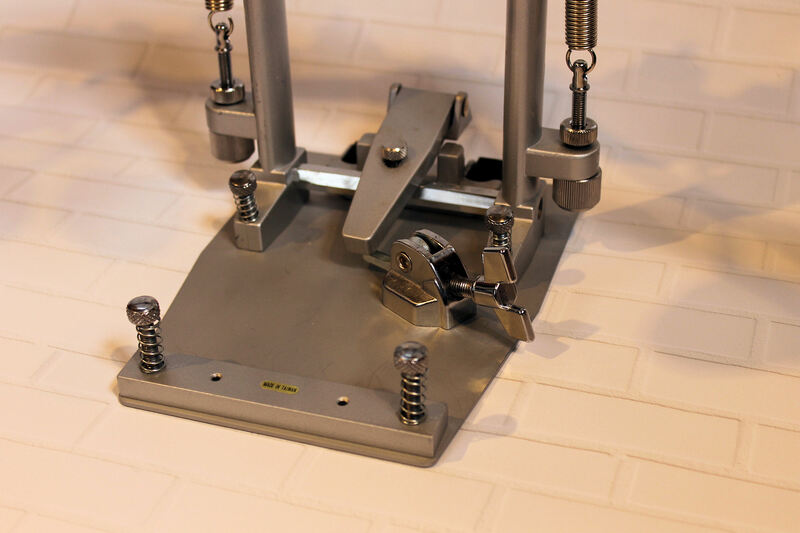 • Radius adjustable drive wheel - The only pedal in the industry on which the diameter of the drive wheel can be adjusted from 1.5” to 3” with only a drum key. 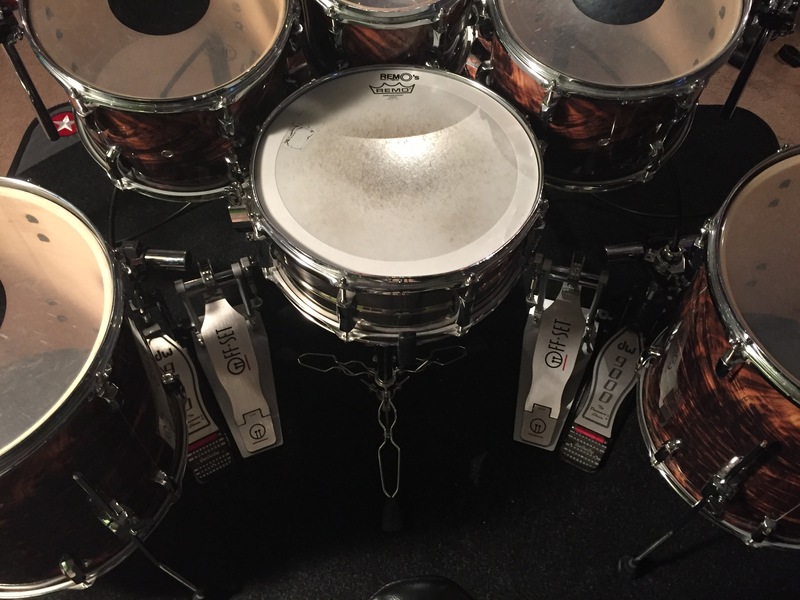 This allows drummer to adjust the drive wheel from a speed cam to a power cam and anything in between. 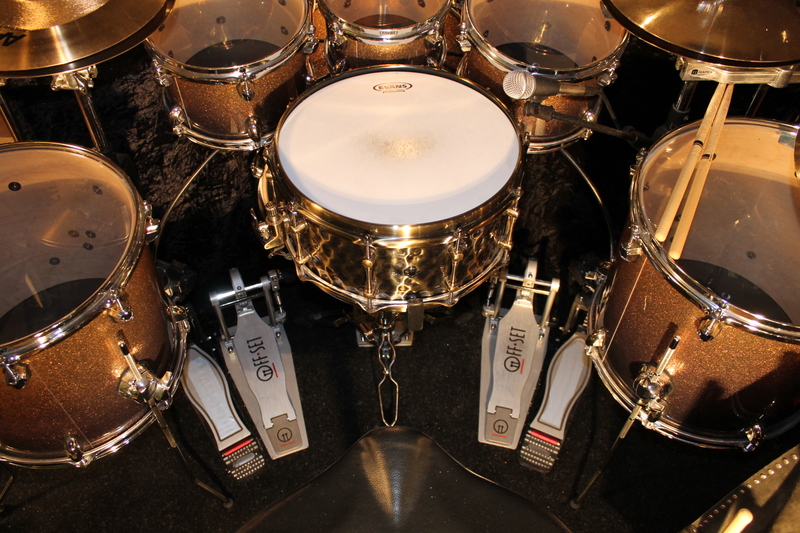 • Hard-soft mallets with adjustable shaft keys. 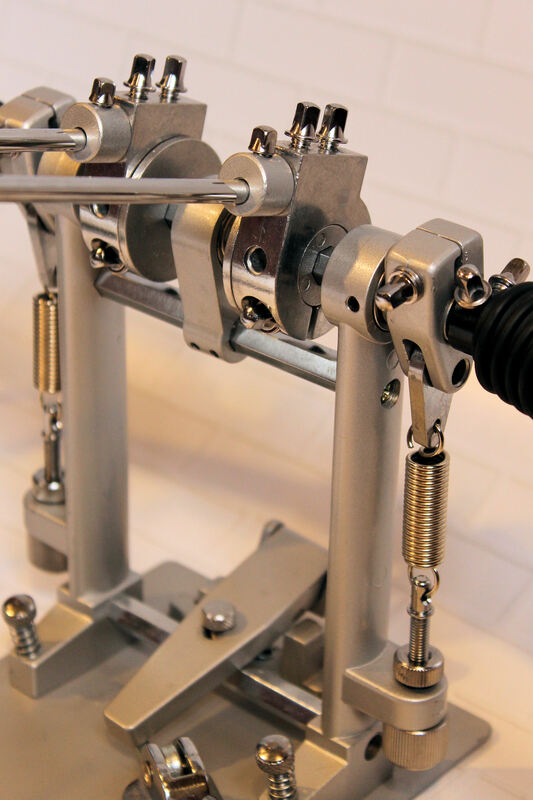 •Center-mounted Swivel-foot hoop clamp which eliminates all lateral torque on the bass drum hoop. 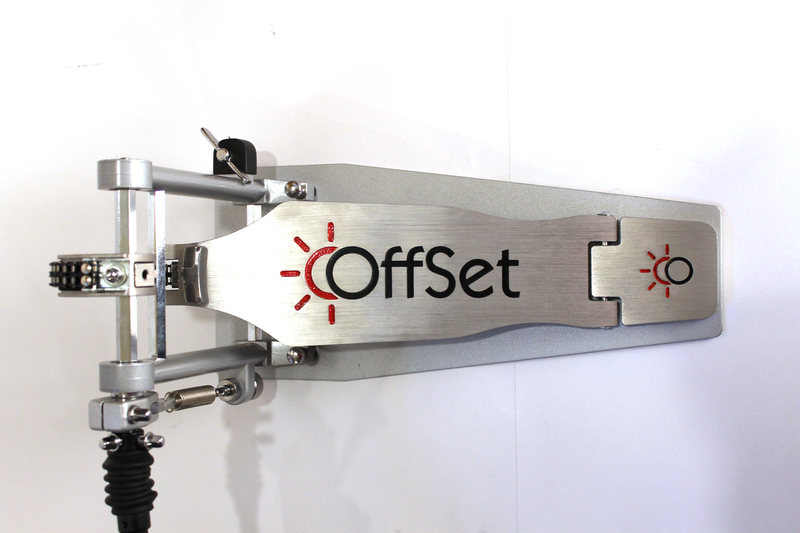 • The OffSet® is the only (patented) Bilaterial design available on the market. 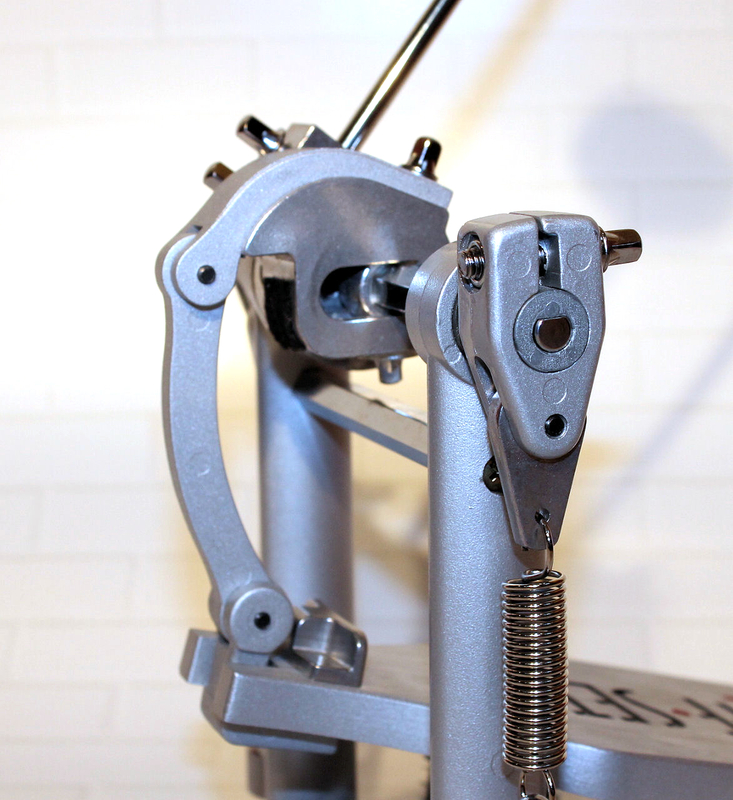 Radius adjustable drive wheel allows drummer to adjust the wheel from a speed cam to a power cam and anything in between. 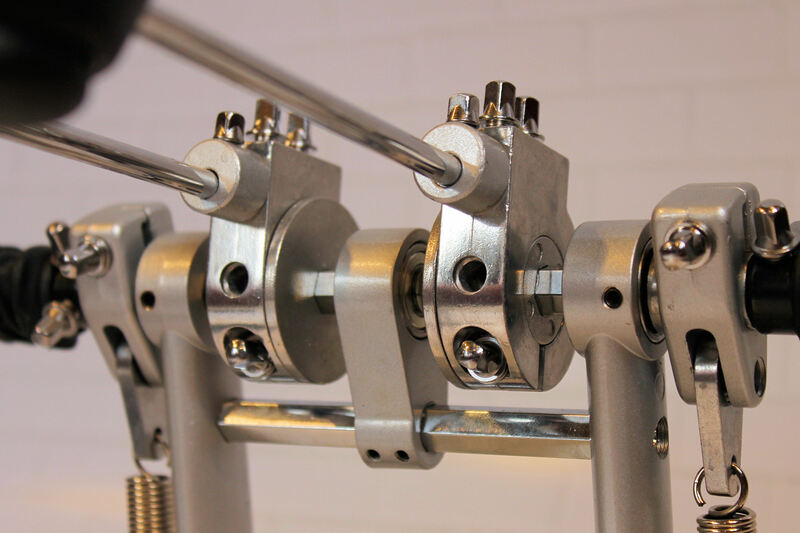 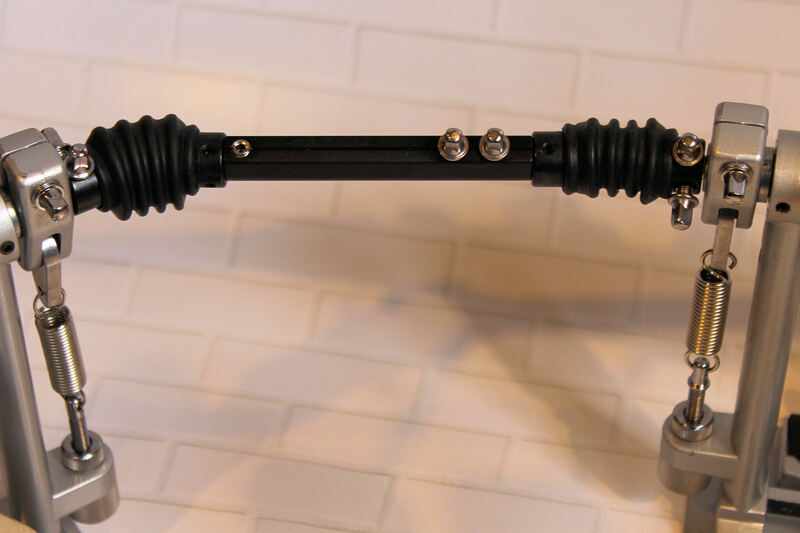 Horizontal and vertical adjustable beater mount with adjustable weight sleeve. 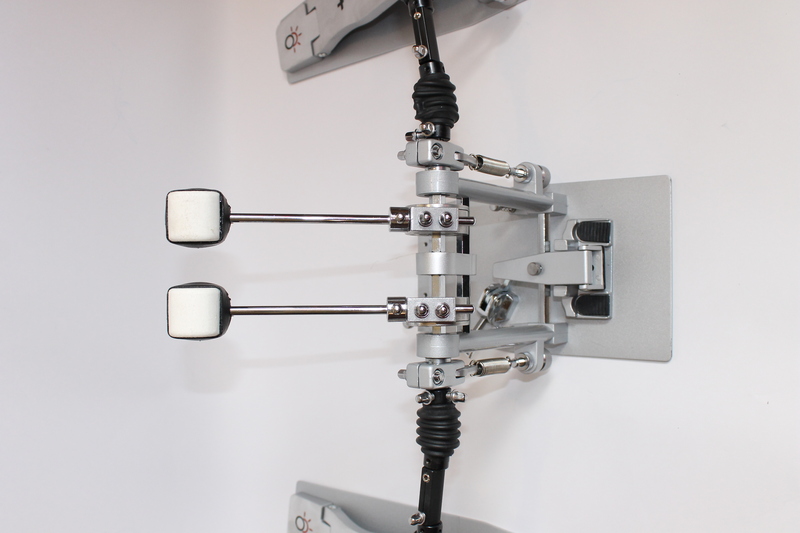 12.5” long x 3.5” wide foot pedals with bearing heel attachment. 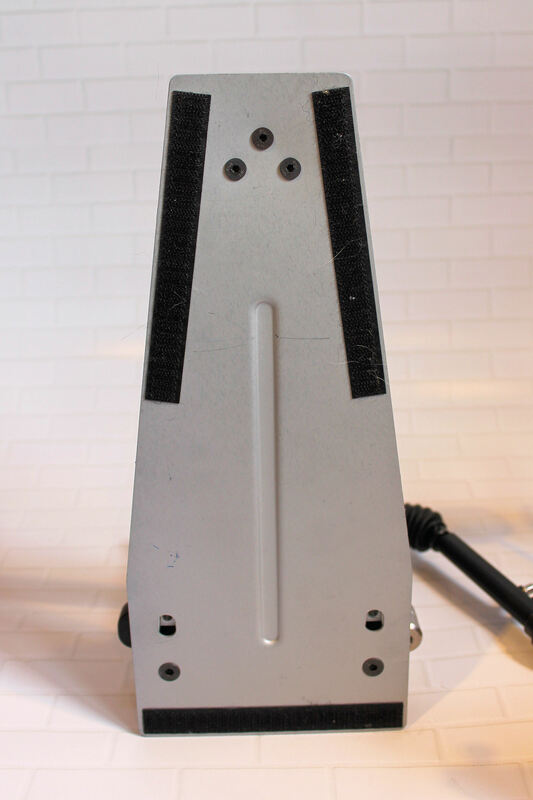 OffSet® Bilaterial Double Bass Drum Pedal platform bottoms. 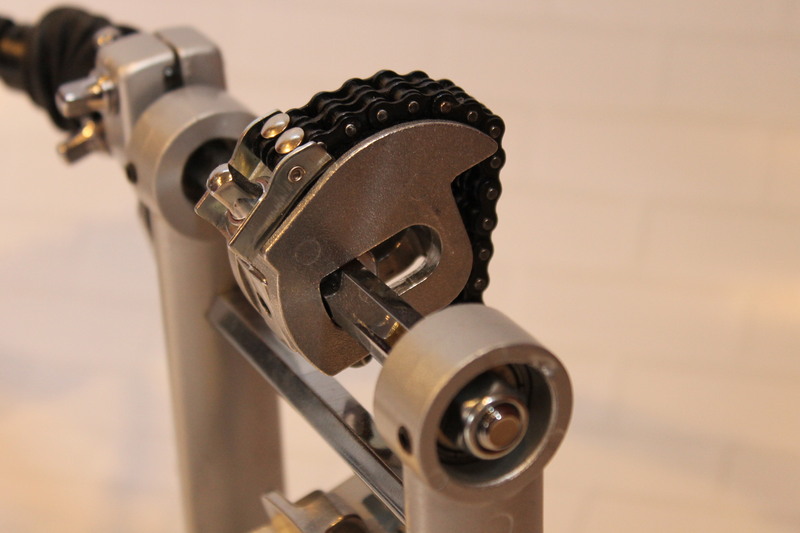 OffSet® Beater assembly with anti-skid spurs. 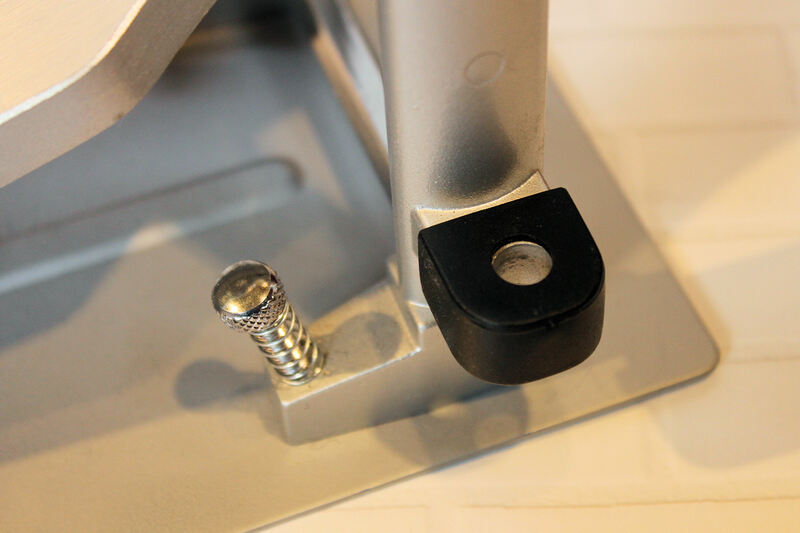 OffSet® Foot Board drum key holder...each pedal comes with a drum key. 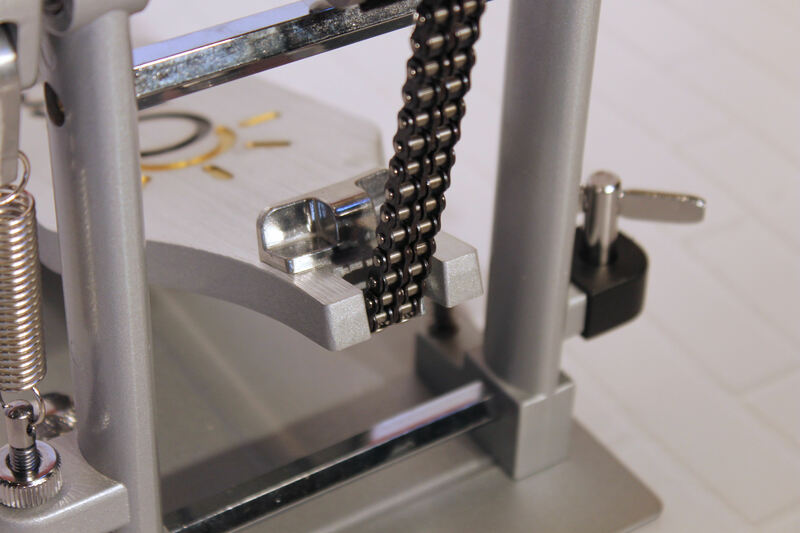 Heavy Duty double chain drive. 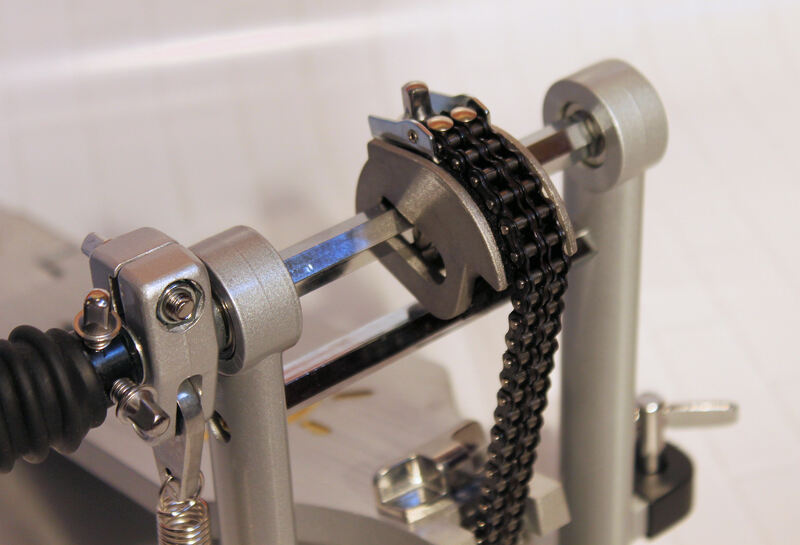 Heavy Duty double adjustable chain drive. 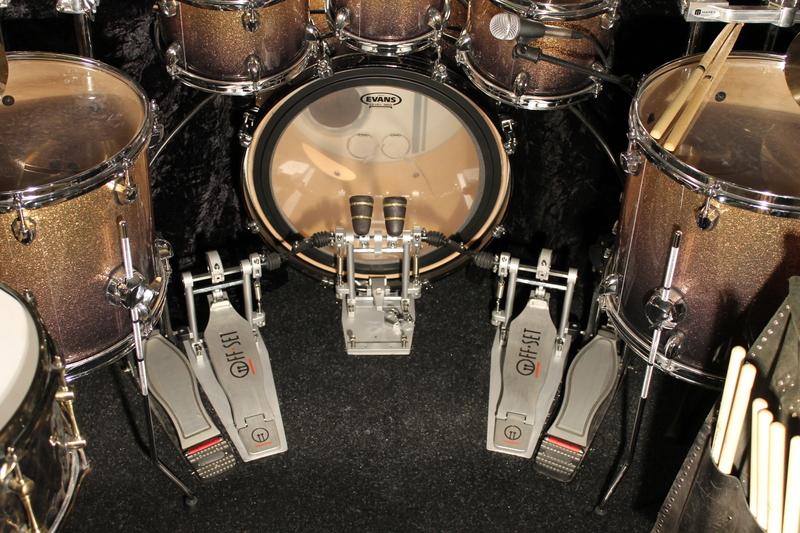 OffSet® Bilateral Double Bass Drum Pedal in use.